Anyone who knows me knows that I am a real snacker. I pretty much always have some sort of snack with me in my purse or schoolbag because I never want to be stuck somewhere starving and forced to eat something I wouldn't normally eat just because I was hungry! 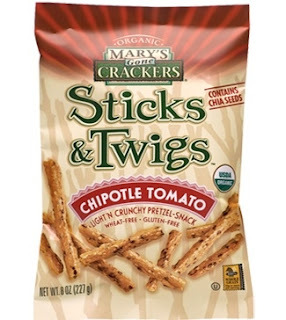 These are my favorite snacks at the moment. (omegas & fiber!) and buckwheat (fiber and protein) so you won't feel guilty munching hard on these. ). They are a great way to trick your body into loading up on powerful antioxidants and Vitamins but your tongue will think they are candy. Win win! ). I have to admit they may take a few tries to get used to, so don't give up after your first try, they taste like fruit snacks to me now! They are especially delicious when eaten with raw almonds. 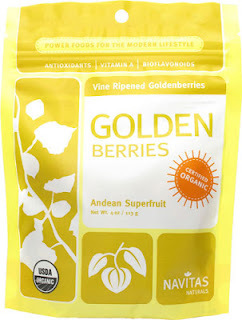 Also worth noting, they are a bit pricey up front but if you eat just a handful a day the bag will last you several weeks. These little sticks have a nice kick to them thanks to the chipotle! They are loaded with fiber and omega 3's thanks to the chia seeds so they are sure to keep you full in between meals. 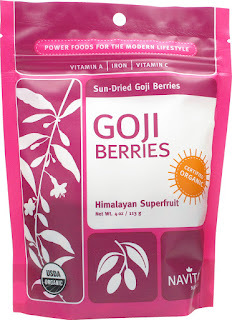 I like these a lot because they are GMO free and have minimal ingredients (no additives or preservatives). They are extra delicious dipped in hummus. I make it a point to eat at least one Organic Apple a day. We all know the saying....an apple a day keeps the doctor away....it's true! They are full of Vitamin C (great for immune boosting) and are said to help protect the body from cardiovascular disease and coronary heart disease. 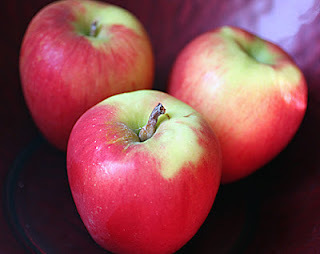 A really good pink lady or fuji apple can satisfy even the biggest sweet tooth and they are full of fiber so they are great for keeping you full in between meals.
! (salt full of the 84 natural minerals and elements found in the human body- great for controlling water levels in the body, promotes stable pH balance and helps with blood sugar levels, just to name a few benefits of it!) This particular brand can get pricey (and may only be in Austin??) 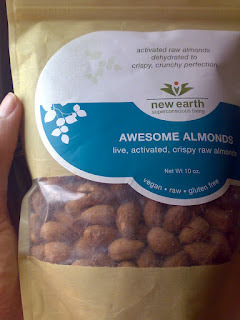 but I'm sure you can find raw, activated almonds in the bulk section of your local natural food store. I am generally a huge hater of food bars. Most are full of crap and loaded with sugar, but sometimes when you are in a hurry a food bar can be a really convenient way to tide you over! 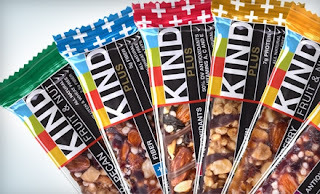 I like Kind bars because they are GMO-free, gluten free and made with minimal ingredients, all of which you can feel good about. They also taste absolutely delicious! Beware because some are loaded with sugar, so look for ones with lower sugar content. 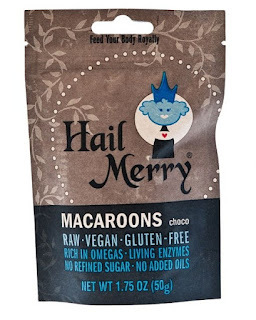 My favorite flavors are: Peanut Butter Dark Chocolate, Dark Chocolate Nuts & Sea Salt, Nut Delight and Almond & Coconut.
. As always be mindful of your portions because of the sugar, but at least it is maple syrup and not refined sugar! Happy snacking and until next time.....to your health!